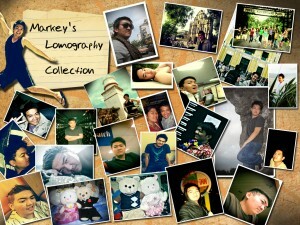 Im so bored today, so I made this lomography collage. Actually the pictures that I used are not taken using my Canon digital cam and my Canon slr, I just made some photo manipulation on each picture to look like a lomophoto’s. Also the background was my digital art that i made yesterday its the same as my banner here (on my new layout). maganda at maayos ang arrangement ng pictures..
nkakainggit ang new header mo pti collage mo, they’re a beauty pero neat. im bored with my theme. i feel magulo xa tingnan. Have a great week ahead! ate honey’s last blog post..blog-a-bog! ^_^ nkakainggit ang new header mo pti collage mo, they’re a beauty pero neat. im bored with my theme. i feel magulo xa tingnan. Have a great week ahead! Lomography – that’s a new term to me. I had to look it up in the Wikipedia. Thanks for dropping by my site. I left a reply in your comment should you come back again. You have to tell me all about your new Canon 5D Mk II – It would be interesting to see results taken from a Full Frame DSLR. ang cute ng lomo mo! ayus!